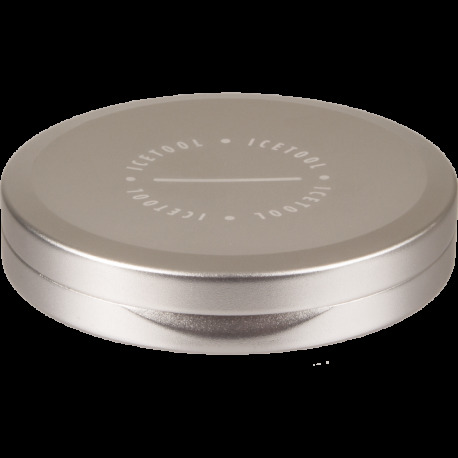 The Icetool Slim Can for portion snus is a durable aluminum low profile snus can, silver-colored. Slim design very discreet and comfortable in your pocket or purse. No storage compartment for used portions. It does what it's supposed to. It's sleek and slim. But really, it should cost 10 bucks. Love It....Have Been Waiting for the Silver Color! If you're on the go and don't want a regular sized snus can disrupting your jeans, pants or entire look, this is seriously a can every snus portion user should invest in. For my fellow Americans, think of a mini "Yeti for Snus Portions"!! Worth every penny, just be sure to add this with a regular snus order so you can take advantage of the flat rate shipping! !